Dumbledore is one cool dude. Why? Well, let’s count a few of the reasons! First, the obvious one—he’s the headmaster at Hogwarts. They don’t just hand that title out to any old Muggle off the street with a nice beard. You really have to know your wizard stuff to get that job. Second, he’s got great taste in snacks. Lemon drops? Sweet and sour in one tiny little candy—they’re the best and anyone that tries to tell you differently obviously just doesn’t have the refined taste of a master wizard! Finally, his full name is Albus Percival Wulfric Brian Dumbledore. We couldn’t think of a more epic name if we tried. Any guy with “Wulfric” as part of their middle name is legendary. You might be thinking to yourself, “I want to be as cool and epic as the wizard from Harry Potter!” Well, normally that might not be possible especially if you’re a muggle (like us, unfortunately), but now you can realize that dream with this authentic Albus Dumbledore costume. 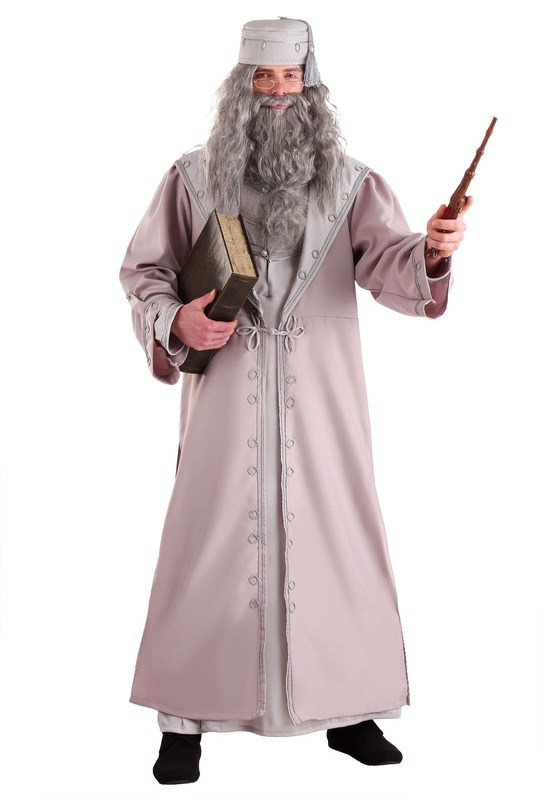 Yes, this deluxe Dumbledore costume is an officially licensed plus size costume from Harry Potter. It perfectly recreates Professor Dumbledore’s iconic blue-gray robes and it even comes with the matching hat. It might even make you feel skilled enough to do battle Lord Voldemort; however that’s still ill advised, since the costume doesn’t actually give you any with magical powers. Just make sure you add a wand to your order. 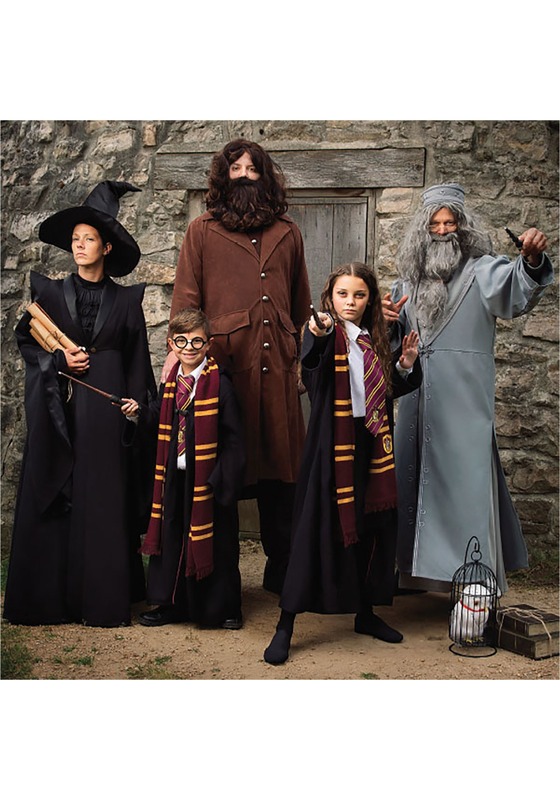 After all, you want to make sure that no one thinks that you’re a Muggle when you wear this realistic costume!